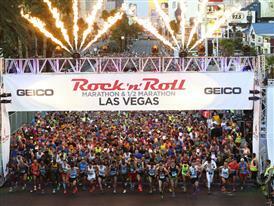 LAS VEGAS -- Dressed as Elvis, Michael Wardian of Arlington, Va., won the GEICO Rock ‘n’ Roll Las Vegas Marathon. The 42 year old was the first to cross the finish line in the annual race in Las Vegas, ahead of the 40,000 runners from all 50 states and 83 countries who took to the pavement Nov. 13, 2016. 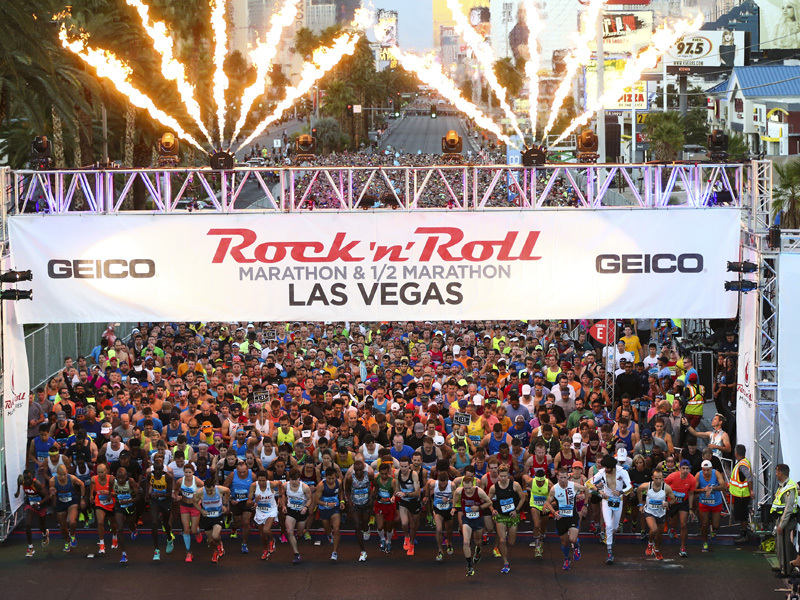 The Las Vegas Marathon is one of the oldest marathons in the United States, and celebrates 50 years running in 2016. Participants were entertained by the legendary rapper Snoop Dog near the starting line and ran under the neon lights of the Las Vegas Strip. More than $2 million will be raised for charity at the "World’s Largest Nighttime Running Event." This year's winner was the first man to win a full marathon dressed as Elvis. "Elvis lives" Runner Dressed as Elvis Wins the Las Vegas Marathon!